The Glencoe Visitor Centre should be on everyone’s list of must-see attractions in the Highlands. Set in the breathtaking and dramatic landscape of Glencoe, the centre aims to educate and entertain visitors not only about the geology and nature of the region but also about its fascinating history. 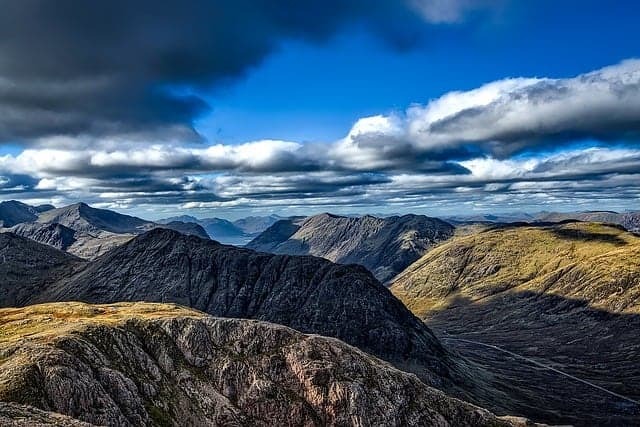 While the Glencoe Visitor Centre is free to visit, the exhibition has a small entrance fee which is well worth paying to learn about the story of the area, as well as the history of the gruesome Glencoe massacre. It was close to this very site in 1692 where 38 men, women and children of the MacDonald clan were massacred by government troops in one of the bloodiest scenes that the highlands had ever witnessed. The exhibition aims to educate visitors about the events leading up to the massacre, the details of the event itself, and explain the politics and clan structure of the time through a series of static displays and videos. If you’ve ever been interested in this troubled part of Scottish history then the Glencoe Visitor Centre is definitely worth a visit. The exhibition also examines the ecology and geology of Glencoe through interactive displays that will be of interest to children as well as mums and dads. The long history of the area as a hotbed of Scottish mountaineering is also explored in detail thanks to the efforts of the National Trust for Scotland, and the exhibition goes to great lengths to explain the modern-day challenges that the NTS faces in caring for and maintaining this beautiful part of Scotland’s wilderness. The eco-friendly visitor centre was built in 2002 at a cost of £3 million and is designed to exist in harmony with the surrounding area. The buildings are laid out in the style of an ancient settlement, built just above ground level and sat on top of stilts which minimizes the potential damage to the surrounding birch woodland. Inside the complex you will find a first-class cafe with indoor seating, and if the weather permits you have the option to enjoy your meal outside while taking in the spectacular views of the surrounding mountains. As you explore the Glencoe Visitor Centre you’ll discover the Glencoe lookout station which shows live webcam feeds from the surrounding countryside, while the lookout point gives fantastic panoramic views of the glen. There’s also a shop that sells the usual pocket-money gifts and toys, and there’s a picnic area so you can enjoy the fresh mountain air with your own packed lunch – perfect for relaxing after a long walk! As either your start or end point for an excursion into the dramatic landscape of Glencoe, the NTS visitor and exhibition centre is a great place for the entire family to enjoy. NTS members enter for free.